May 9, 1936: After months of their debut on Rudy Vallee's program, Edgar Bergen and Charlie McCarthy broadcast their own show on NBC. With help from W.C Fields, Don Ameche and Dorothy Lamour, the show was one of the top old time radio hits. 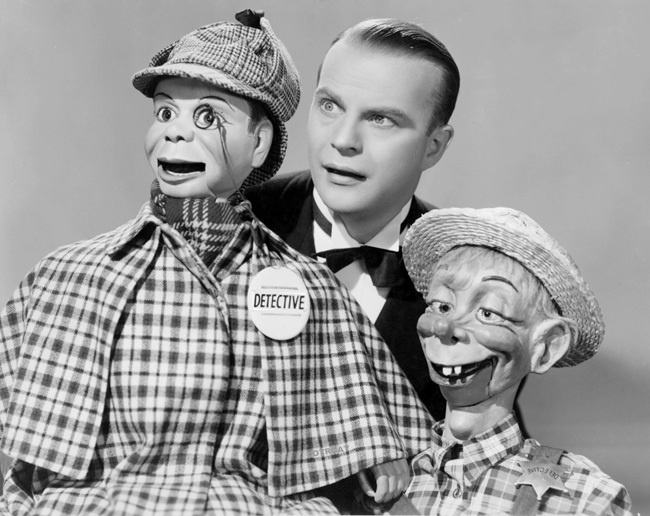 Edgar Bergen was an actor and a radio performer best known for his superb skill of being a ventriloquist. Along with Bergen, Charlie McCarthy, his dummy puppet, rose to fame from their radio performances. Following his legal change of name from Berggren to Bergen, Edgar and Charlie were spotted performing at a New York Party where they were offered a guest appearance in Rudy Vallee’s radio show. Their first appearance in 1936 was so successful that they were offered their own show as part of The Chase and Sanborn Hour. Their success in the radio often puzzles the critics since the radio audience cannot the dummy (Charlie) or even Bergen’ ventriloquist skill. The radio ventriloquist duo is best remember for their hilarious quick wit and comedic timing.